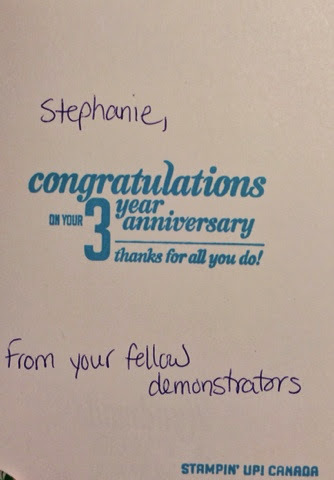 March 28th marks my 3 year Stampaversary! Three years I have been a demonstrator with Stampin' Up! Canada; and for three years I have earned money doing something I love! I wish more people were lucky enough to say that. 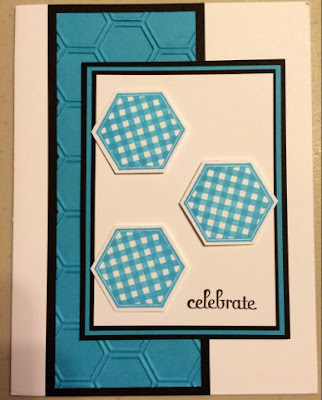 To celebrate my Stampaversary, I want to show you what I love about Stampin' Up! Anyone booking a party with me in April will get a FREE catalog item of their choice* at their party. Anyone who places on order through me in April will receive free shipping. AND anyone who joins my team in April will get a one on one techniques class as well as a thank you gift from me; something fantastic! Who's ready to help me celebrate? Send me an email and we will pick a date to party, get your order in or start you on your own fantastic stampin' journey!